In these podcasts Marek Kiczkowiak and Robert McCaul explore different issues related to teaching and learning English, as well as other languages. Each episode is about 30 minutes long. Apart from our experience as English teachers, we’re both successful language learners ourselves, so in many of the episodes we share with you the practical insights into learning languages we’ve gained over the years. You can read more about us here. We regularly speak at many international conferences, and if you’d like to invite us to give a talk or a workshop at your event, write to us here. The latest three episodes are available below. You can listen to the previous ones here on this website and on Soundcloud here. They are also available on iTunes here, on Stitcher here and on Tunein. 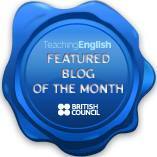 The podcasts have also won British Council Teaching English award in December 2015 for the best blog post of the month. If you have any comments or suggestions for future episodes, please get in touch here. We’d also really appreciate it if you could leave a rating and a comment on iTunes or Stitcher. We’d love to hear what you think. The podcast music theme, Jingle Jazz, is under Creative Commons ShareAlike 3.0 International License, was recorded by Quantum Jazz and can be downloaded from this website. The photos used on this website are either ours or are under Creative Commons and have been credited accordingly.